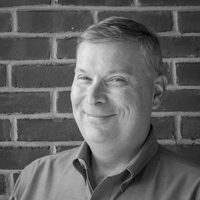 Neil is an accomplished operating executive with over 25 years of cybersecurity expertise solving hard problems in government defense and commercial markets. 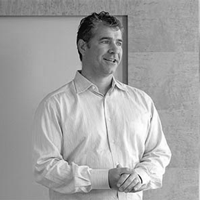 Neil’s expertise is in the creation of early stage technology start-ups through rapid growth. Prior to founding AKUA, Neil spent 5 years as the Chief Operating Officer at CyberPoint International from startup to over 250 employees and $85M+ in revenue. 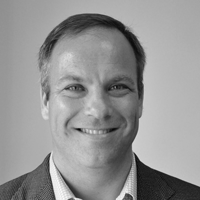 Prior to Cyberpoint, Neil spent 6 years as Executive Vice President and CTO at Savi Networks that was an early innovator in IoT and Supply Chain SaaS platform, and 8 years as the General Manager/Director of Lockheed Martin’s cybersecurity innovation group. 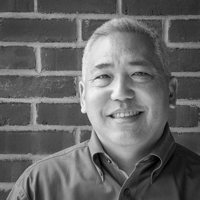 Neil has a Bachelor of Science Electrical Engineering degree from the University of Hawaii and completed the Executive Management program at the University of Maryland Robert H. Smith School of Business. Rich has been with Akua since its 2016 founding. A startup veteran, he is skilled in Operations, Engineering, Business Development & Finance. Akua first year highlights include: Interim engineering lead, navigating 100% team turnover. Engaged directly with customers to insure early Akua product successes. Developed company product roadmap. Established operational systems. Created streamlined product pricing process. Responsible for corporate IT. Previously at CyberPoint, Rich focused on Cyber Security special assignments for the CEO. In 2015 took on the role of International Business development, in 2014 he established operating companies in the European Union and the Middle East. Rich worked as COO of LifeJourney USA, LLC. and is on the board of LifeJourney Inc. As a Director at Arbitron Rich focused on international product development, rollouts and business development. 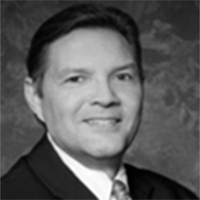 While at Booz Allen Hamilton Rich was a Senior Associate. Rich holds Bachelor and Master’s degrees in Electrical Engineering. 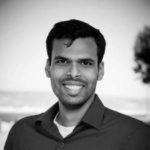 Ramkumar Rama Rao (Ram) has experience working at agile software development teams at startups and public enterprise companies like Workday. Ram brings with him experience developing and scaling secure enterprise software. Ram’s background in Electrical Engineering, work experience in cloud technologies and Co-Founder experience makes him an ideal candidate to lead R&D efforts at AKUA. Business Development Executive who has repeatedly opened new domestic and global B2B and B2G markets for start-up through F100 companies, building critical relationships while creating profitable new revenue streams. Former EVP of Energy Solutions, Senior Managing Director, Hill & Knowlton; and SVP, Fleishman-Hilliard. Matt is an entrepreneur and investor with over 14 years of successful general management and multi-stage venture investing experience. Matt carries a strong track record of investing in leading edge technology companies including CloudShield (SAIC), Narus (Boeing) and ArcSight (HP). He was also an early investor and Chairman of the Board of MeshNetworks (Motorola). Karl Gumtow is Chief Executive Officer and founder of CyberPoint International, a cyber security company delivering innovative, leading-edge products, solutions, and services to customers worldwide. One of CyberPoint’s missions is identifying promising global technologies and bringing them to the US market. Karl has worked for more than two decades at all levels of the commercial and US Government security communities. He is known for his deep technical expertise in cyber security and his record of leading organizations though complex, challenging, and mission-critical problems in this rapidly evolving field. Before founding CyberPoint, Karl directed large engineering organizations, led programs and initiatives related to security technologies, and developed innovative business strategies for both large and small enterprises. Karl is equally committed to corporate social responsibility. From pioneering new ways to help school children learn about technology, to sharing his time and expertise with government and business leaders, CyberPoint is always looking for opportunities to give back to the community. Karl holds a Master of Science in Electrical Engineering (MSEE) from the Johns Hopkins University and a Bachelor of Science in Electrical Engineering (BSEE) from George Washington University.